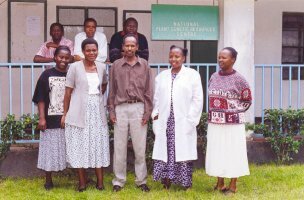 The National Plant Genetic Resources Centre of Tanzania (NPGRC) is among the four divisions under Technical Services Department of Tropical Pesticides Research Institute (TPRI). 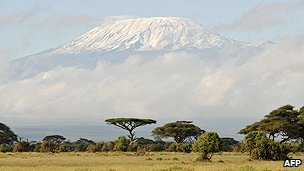 It is located 12 kilometres west of Arusha along Arusha-Namanga main road. The centre was established in 1991. The National Plant Genetic Resources Committee (NPGRCom) under the Ministry of Agriculture and Food Security is the governing committee. The committee is composed of members drawn from various National Institutions dealing with Plant Genetic Resources. It is responsible for development of national policies, guidelines, legislation for conservation and exchange of germplasm. The broad objective of the NPGRC is to promote the conservation and sustainable utilization of Plant Genetic Resources. Other International Institutions dealing with Plant Genetic Resources. NPGRC in collaboration with the Ministry of Agriculture and Food Security (MAFS) participated in compiling relevant data and information, which finally enabled Parliament to ratify the International Treaty on Plant Genetic Resources for Food and Agriculture. In situ conservation of PGR. The Centre has the responsibility of assessing the plant diversity in the country, conduct botanical surveys and maintain an inventory of plant genetic resources in order to get an indication of which taxa are threatened and therefore require ex-situ or in-situ conservation. Collection of germpalsm for ex-situ conservation is done in collaboration with local scientists where possible international expertise may be consulted.